Quick Review of "Celebrity Squares"
The contestant with the most money advances to the Question Line bonus round. In the bonus round, a line of three celebrities are selected, each containing a category, and the contestant chooses which question category he/she wants to face. Each question has multiple answers and the contestant has to provide nine correct answers to their selected question in 30 seconds. Each correct answer is worth £1,000 and nine correct answers wins £20,000. For those you who were fans of Hollywood/Celebrity Squares back in the 2000s and earlier, this one will take some getting used to for a one reason: the hour-long format. The 60-minute format is a bit lengthy for a show like this. It’s like if Match Game/Blankety Blanks were to be stretched in the same fashion; it would get tiresome and seem never-ending after a while. However, I can see why the producers chose to expand the timeframe to allow more time for witty banter and amusing anecdotes among the celebrities, host and contestants rather than bypassing that and rushing through each game due to the half-hour time constraint. The great chemistry between the celebrities and the host makes this show fun to watch for the entire hour and it’s not boring and lackluster like the Hollywood Squares half of NBC’s Match Game/Hollywood Squares Hour. stars themselves. I predict this weekly, hour-long game show will be recommissioned for a second series and I’ll be a bit shocked if we don’t see Celebrity Squares next year. 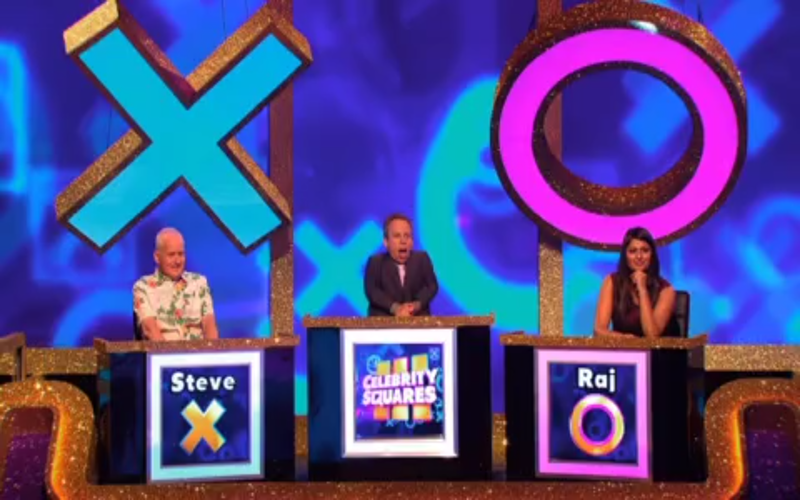 Check out new episodes of Celebrity Squares Wednesdays at 8:00pm BST on ITV! Previous Post Quick Review of "Two Tribes"